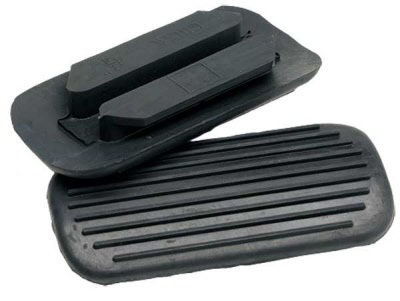 Rubber treads to suit most 2 bar stirrup irons, including SafetyIrons and Peacock Irons. They are designed to offer additional grip. Choose the size that matches your stirrup size. Treads can be quite difficult to fit, especially when new. We suggest soaking them in warm water, or leaving them out in the sun for a while to soften - this will make them more pliable and easier to feed through the stirrup bars.